The Diploma is equivalent to two A Levels over two years. The Extended Diploma is equivalent to three A Levels over two years. Carries UCAS points in the same way as A Levels, supporting progression on to higher education. Are you interested in becoming a nurse, midwife, paramedic, occupational therapist, social worker, youth worker or primary teacher? Would you like to do an apprenticeship in Health and Social Care, including working with adults who have learning disabilities, work with older people, take up dental nursing, nursery nursing or play work? If so, then this Cambridge Technicals Level 3 option could be for you. The Cambridge Technicals are a new generation of vocational courses developed through the exam board OCR’s links with the University of Cambridge. They are aimed at people who enjoy learning in a practical, work-related way and have been designed to provide high quality, industry recognised qualifications that acknowledge skills, knowledge and understanding of the sector, together with the settings, job roles, principles and values involved. 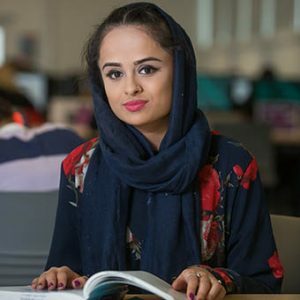 The courses we offer are aimed at students seeking a career in health or social care and/or wishing to further their studies at higher education level (all qualifications carry UCAS points). There will be opportunities for work placements at local primary schools, nurseries and residential care homes. Read more about Alsa and some of our other students.